The head of the Catholic Church in Ireland has warned that "an infrastructure of suspicion and division" could set back decades of progress between communities on both sides of the Border. 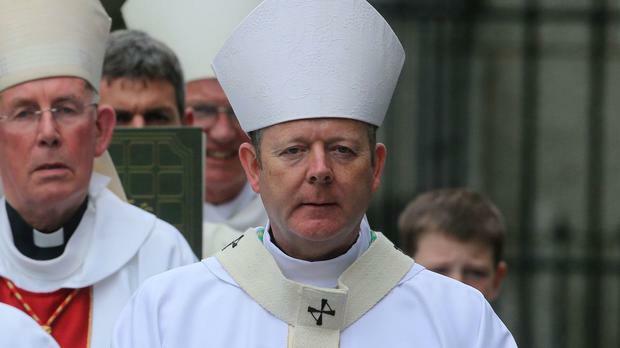 In his message for St Patrick's Day to the people of Ireland at home and abroad, Archbishop Eamon Martin expressed concern over the impact of the ongoing political and economic uncertainty over Brexit. "I hope this weekend that the prayers and example of St Patrick will help our politicians, community leaders and all of us to treat each other with respect in these trying times," the Archbishop of Armagh said. He said Ireland's patron saint was a champion for dialogue for the peaceful resolution of problems. The Archdiocese of Armagh will be seriously affected by Brexit as its flock lives on both sides of the Border. Armagh is traditionally associated with St Patrick as the saint founded a church on the Hill of Armagh in 445AD. Armagh is the primary seat of both the Catholic Church in Ireland and the Church of Ireland, and both cathedrals in the town are named after Patrick. Dr Martin said he had been hearing families across the island of Ireland - including those who live and work along the Border and those who make their living from farming, business and haulage - expressing anxiety about what the future might hold. "People are speaking about relationships within these islands - north and south, east and west - becoming more strained and fragile," he said. Quoting from St Patrick's 'Confession', the Archbishop said: "If we are to find a way forward and face our many challenges, we need to recover that spirit of fraternity and 'strive to do bigger and better things'. As St Patrick himself prayed, may God's strength 'pilot us' in the coming days, months and years." Dr Martin recalled former SDLP leader and Nobel Peace laureate John Hume, "one of the great architects of our peace process".